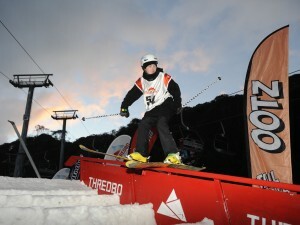 The Thredbo Freestyle Series is back, looking to crown the overall winners in each category as athletes compete over five events to claim the title. Each event will have a unique set-up allowing competitors of all levels to participate in the competition with seasoned pros as well as riders just starting out. This is a great way to compete with your favourite athletes and push your own riding. Rails will go down under lights with a live DJ playing while athletes conquer the uniquely built features on Friday Flat. The set-up will cater for all levels of rider. This will be the first stop of the series with athletes collecting points to the overall series champion. The night is always an awesome spectacle and one to come and enjoy.